We don’t care about money here, Mr Hughes. Well that’s because you have it. There are four political parties standing in your constituency; in alphabetical order of party (and as it happens, candidate): BNP, Conservative, Labour and Liberal Democrat. The BNP receives 2,296 first preferences, of those votes the second preference where stated is split 978 for Conservative and 620 for Labour. 20,668 people vote Liberal Democrat; it subsequently turns out their second choice isn’t relevant – likewise for the 16,075 who vote Labour. The vast majority of the 9,187 people who vote Conservative don’t really care for the other two main parties, which shouldn’t surprise anyone, however most of them also loathe the BNP. That’s understandable, and the best way to express this is a feature of AV that isn’t afforded by our current first-past-the-post (FPTP) system; the ability to vote against one party by voting for all the others. In our example, most of those whose first preference was Conservative do exactly this, and since they don’t have a preference with the other parties they rank them according to the order in which they are listed. This is called a donkey vote and whilst it is most common where full preferential voting is required, it applies equally here. As a result the ‘second preferences’ for those who vote Conservative are divided 8,177 for Labour and 991 for the Liberal Democrats. With the vote in, the count can begin, and after the first round the BNP, having the fewest votes, is eliminated. The next preferences of those votes are added to the remaining candidates to give us the following: just over 42% would like a Liberal Democrat MP with around 35% opting for Labour. It’s still not a majority so the Conservative vote is eliminated… and something interesting happens when the ‘second preferences’ are added to the count. These would be the people whose other preference was mostly ‘anyone but BNP’ and consequently voted for the other candidates in the order that they appeared. Despite having significantly less of the ‘positive’ vote, Labour’s candidate wins through having a superior position in the alphabet. As I stated previously, what this illustration and others show is how AV can work; the result – fair or otherwise – depends on how the example is framed. I could as easily have had the Conservative candidate prosper as a result of Labour’s anti-BNP sentiment; not perhaps to the extent of the numbers used above, but certainly enough to affect the outcome. This example doesn't say how likely it is, only that it’s possible; under AV you can have a result that many people would consider unfair; it’s a system not nearly as simple as some would have us believe. Do children understand forgiveness? Whilst capable of bearing a grudge they seem more willing to forget; out of necessity, or perhaps nursing a grievance is a skill to acquire. Once developed, we spend the remainder of our lives learning to forgive. My teachers are not infallible nor my parents invincible, but the greater failure comes much later, and is my own. First we learn to forgive others, and then we must learn to forgive ourselves. Fifteen years later I finished A Prayer for Owen Meany; fifteen years ago it was the last remaining novel. I’d read the others, starting with the big hitters; The World According to Garp and The Hotel New Hampshire were followed by four more, with Owen purposely held back, saving the best (by reputation) to last. 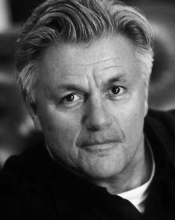 John Irving has gone on to write several more since then, he was hardly going to wait for me, and since it’s been so long I’d be hard pressed to say which of his earlier work I thought best. I still have fond memories of The Water Method Man, but in those days my cynicism came from fashion rather than experience. A Prayer for Owen Meany is a great book and I’m ashamed of my earlier lack of understanding, my intolerance toward the narrator John Wheelwright; a character more interesting for the past than the present. I’d thought I was better than that. I’d thought the book would be better if his life in Toronto were excised altogether. I was wrong. Not only does it provide contrast, it is an honest portrayal of a damaged life; and if some parts are more appealing than others - that ought to seem familiar. I watched a couple of favourites on the weekend in The Godfather and Gattaca. Francis Ford Coppola’s mafia classic of such renown now, it’s difficult to imagine the trouble involved in making the film, from assembling the cast - for example, the studio didn’t want Marlon Brando - or even hiring a director; Coppola wasn’t first choice and was constantly on the verge of being fired. I’ve read that when asked he at first refused for fear of glamorising organised crime, but was won over when he thought of making it a metaphor for capitalism; funny because whilst I’ve never noted the metaphor, I’m aware of the criticism. I’d always assumed this was the reason for a change in tone between it and the sequel which followed a couple of years later; both films end with a settling of scores, but the latter contains no sense of triumphalism. These two films (a third was made 16 years later) have been treated dreadfully on television. I remember on one occasion they were spliced up (part two contains story lines set before and after the events in part one) and shown in chronological order as a mini-series; worse and somewhat bizarrely, it was dubbed to remove the language that so offends, whilst maintaining the violence. 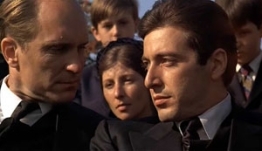 Nowadays I notice the frayed edges; the blood isn’t the colour of blood, and there’s a noticeably phony fight scene between Sonny and his brother-in-law, Carlo; but these are minor details, even if you do see Brando as hamming it up, the story wins through. It’s always the story. Gattaca suffers from this same nit-picking. Science fiction (if it can be labelled as such) often will; this time I found the the romantic subplot ropey, and the murder more MacGuffin than of any interest. In the past, when asked I would always list three films; Un Coeur en Hiver, The Elephant Man and Gattaca. 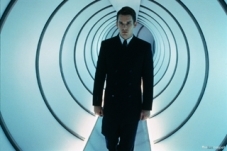 And despite any faults, Gattaca would remain as its feel, particularly for the future - with an increasing ability to alter our DNA and ever insistent demands for a database - is truer today than when I first saw it all those years ago. I wonder, when it happens, if we’ll still have the self-awareness to realise what we’ve done - and whether it would be better if we didn’t?